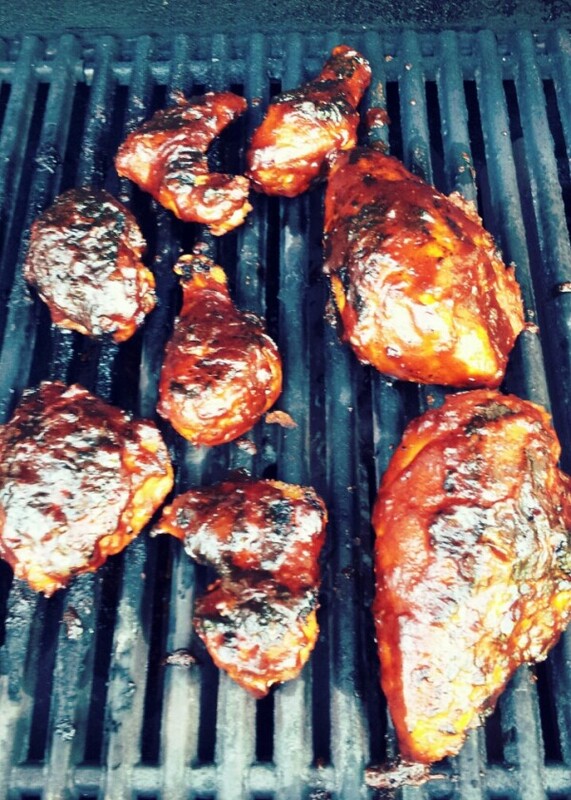 Doesn’t BBQ chicken on the grill just scream “SUMMER”?? We grilled a whole chicken last weekend, specifically so we would have leftovers to make this chicken salad for lunch during the week. We used a recipe from Cook’s Illustrated that called for coating the chicken with a dry rub (brown sugar, salt, onion and garlic powders, paprika and cayenne) and refrigerating it for 6 to 24 hours, then grilling it and basting with homemade BBQ sauce (ketchup, molasses, cider vinegar, Worcestershire, Dijon, pepper, vegetable oil, grated onion, minced garlic, chili powder and cayenne) about halfway through the grilling time. 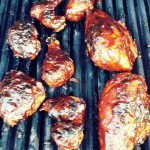 The chicken was fantastic, and we reserved some of the homemade sauce to use in the BBQ chicken salad, which also turned out great. 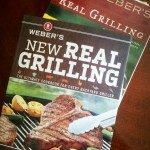 Speaking of grilling, I came across the new edition of one of our all-time favorite grilling cookbooks at Home Depot the other day. We’ve had the original edition ever since Dan first owned a grill, and we still use it all the time. 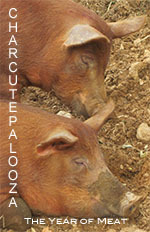 We look forward to trying recipes from the new one (bistro-style pork chops with creamy shallot sauce? crispy chicken thighs with basil and prosciutto butter? dijon and garlic swordfish kabobs with lemon vinaigrette? Yes, yes and yes, with a side of yes!) 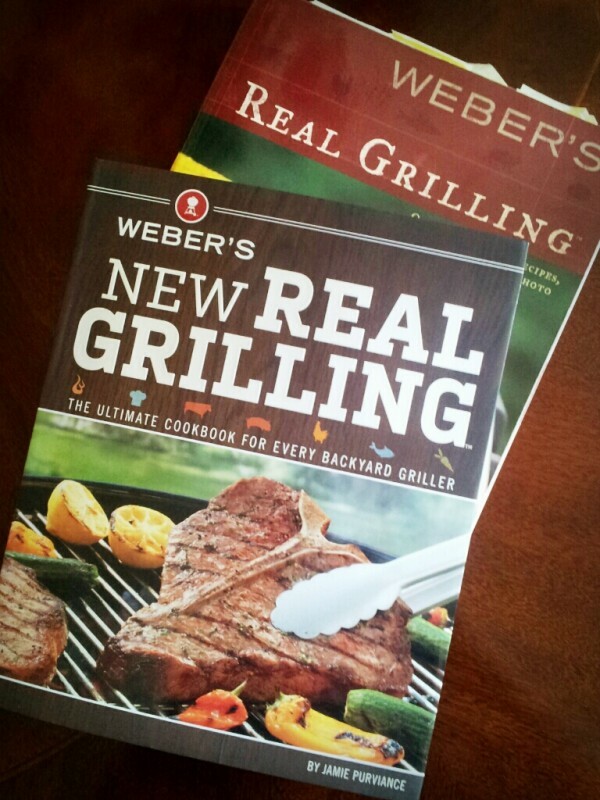 and reading all the handy “Grill Skills” tips and tricks throughout the book. This week brought our first homegrown pickling cucumbers of the season. Since we only have two so far and we already had a half-empty jar of refrigerator pickles on hand, we cut the cukes into rounds and added them to the jar in the fridge. 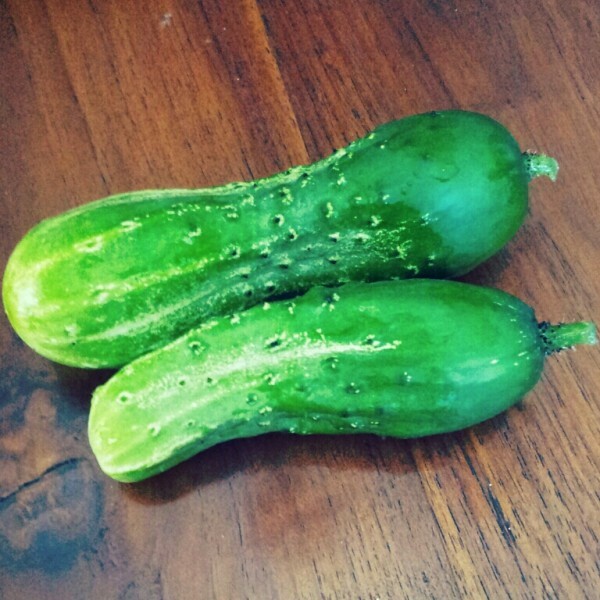 The cucumber plants in our garden seem to be doing very well (so much so that there are probably a few more harvestable cukes in there that we haven’t found because the vines are so dense) and hopefully will keep us well-stocked with pickles all summer!